The month of January’s flower is the carnation – sometimes considered lowly or commonplace. But how could all those lovely ruffles be common?! 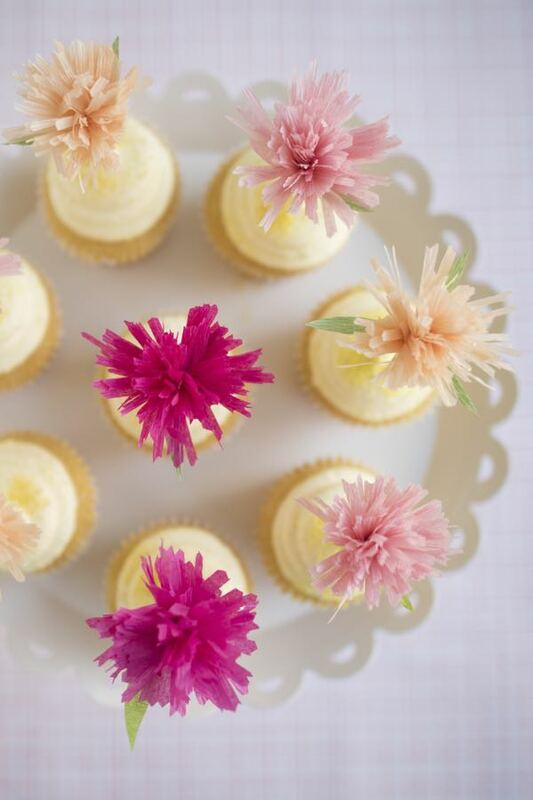 These pretty little carnation cupcake toppers are fast and easy to make. The secret to their ruffle-y tops? Use pinking shears. 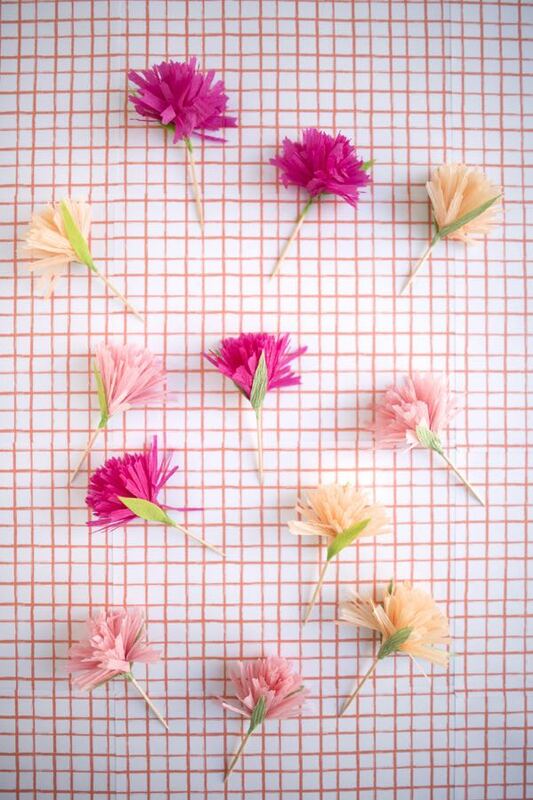 Materials needed: crepe paper streamers in pinks and green, scissors, pinking sheers, glue, toothpicks. Step 1: Cut a 16” piece of pink streamer. Step 2: Fold in half, fold again, and fold again a third time. Step 3: Cut the top edge with pinking shears. Step 4: Cut fringe into the streamer. 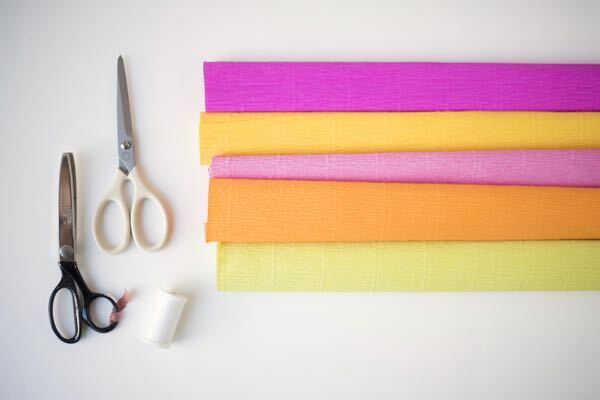 Step 5: Open the fringe so it is a double layer strip. Step 6: Apply glue all along the uncut edge. 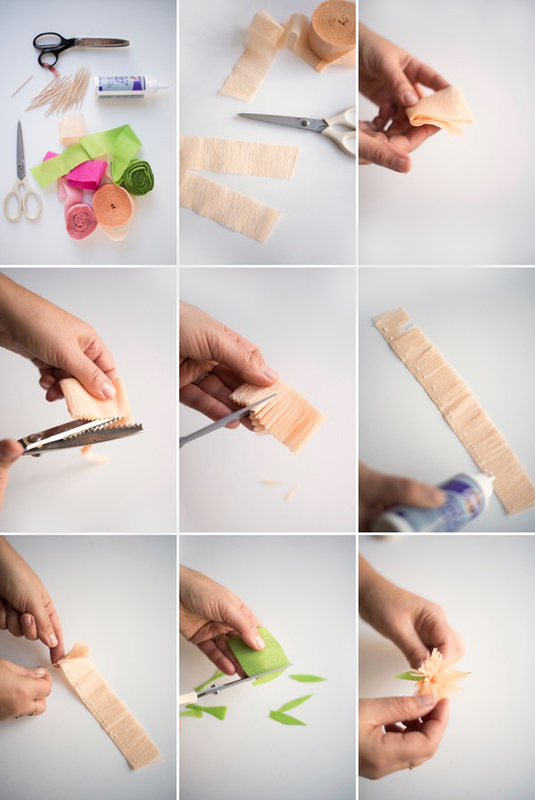 Step 7: Begin rolling the fringe around the tip of a toothpick. You may need to adjust the streamer to keep it straight every so often. Step 8: Cut out two narrow green leaves, and attach with glue to the base of the flower. 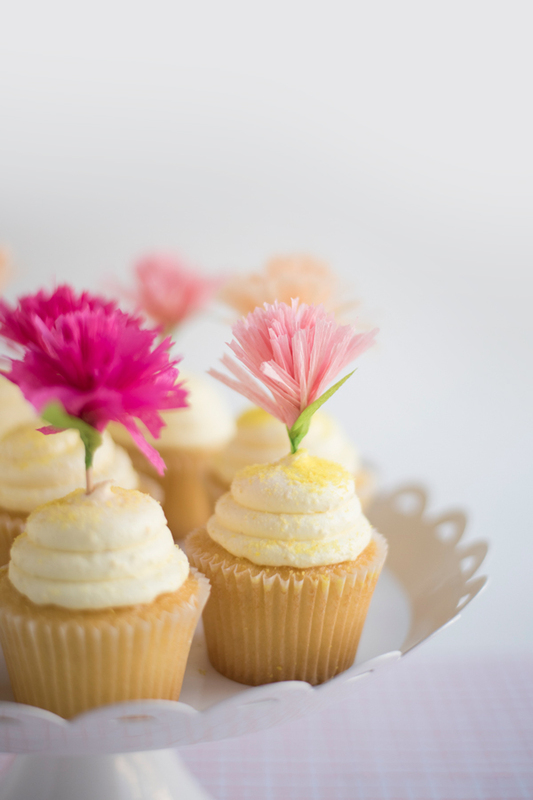 Step 9: Gently ruffle the carnation with your flowers to fluff it out. Those are too cute to be true, well done! 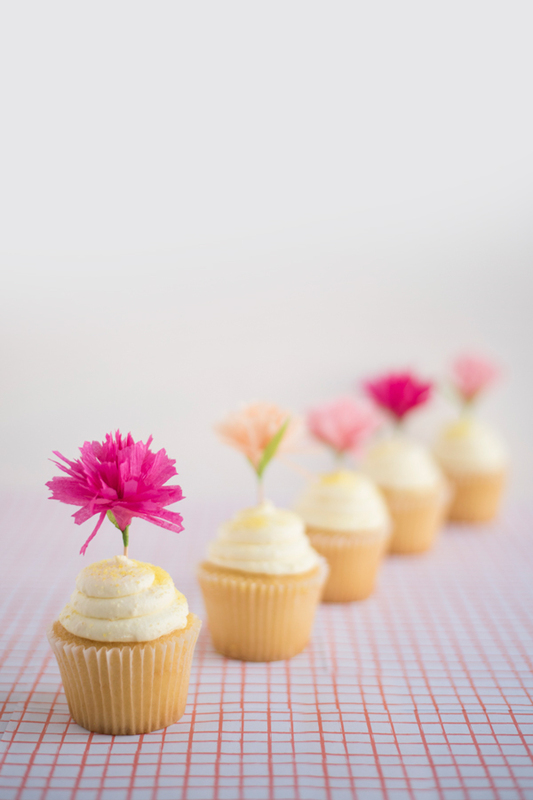 These are so sweet – the perfect thing to add a little pizzaz since my cupcake-icing skills are not so great. Wow these are so cute and they actually seem pretty easy to make too! I’ve pinned them to my party board for future reference! 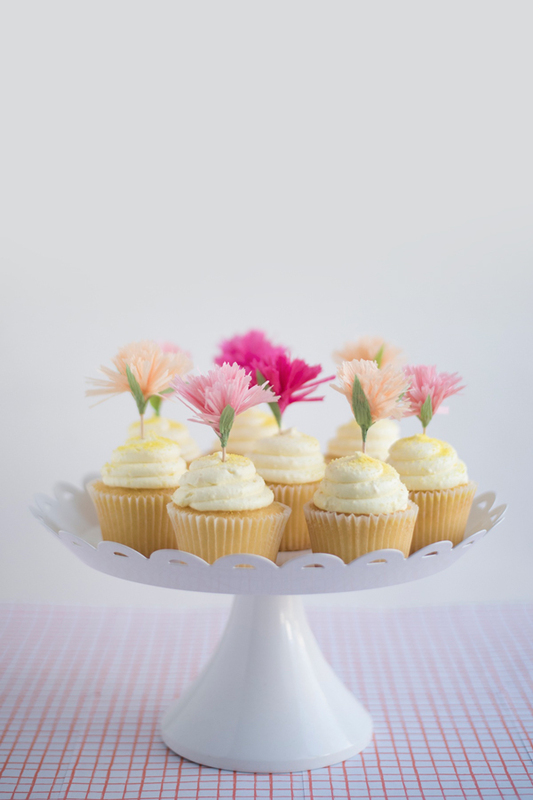 I love these, not just for cupcake toppers but for a variety of crafts! Pinning this. This is adorable and totally doable! I adore these…and any paper craft…but I’m making these up for sure! Keep the goodies coming! These are so sweet and pretty! I am loving the colors!